Also known as hippotherapy, EAT is a physical, occupational, and speech-language therapy treatment strategy that utilizes the dynamic movement of the horse to achieve therapy goals. This type of treatment is effective because the gentle, rhythmic movement of the horse simulates human walking. The term hippotherapy comes from the Greek work “Hippo” which means horse. What are the Benefits of Equine-Assisted Therapy? Also known as Therapeutic Horsemanship, EAA is designed to teach horsemanship and riding skills to individuals with special needs, with the goal of increasing functional life skills. Lessons are taught by PATH International certified therapeutic riding instructors. What Are the Benefits of Equine Assisted Activities? EFL is an educational approach that incorporates equine facilitated activities using the experience of equine/human interaction in an environment of learning and self discovery. ROCK On Veterans offers co-ed and women only programs for veterans and active duty service members, as well as programs for veteran families, partnering participants with horses and veteran volunteers. Meals are served during the Monday and Tuesday evening classes to build comradery and expand the ROCK On Veterans community. Learn more about our ROCK On Veterans program here. ROCK’s STAR (Student Teachers Aspiring to be Registered) program is a 20-week intensive learning program that offers instruction and hands-on experience to prepare participants interested in pursuing certification through PATH Intl. as a Therapeutic Riding Instructor. To request more information email Devon@rockride.org. Through partnerships with local school districts, ROCK is able to create connections with the horse and facilitate learning between diverse student populations through equine-assisted learning (EAL) programming. ROCK students have the opportunity to participate in a variety of competitions and horse shows throughout the year! Competition opportunities include Regional and State Special Olympics and the Star of Texas Gold Stirrup Horse Show and other local competitions. This year, ROCK will not be holding summer camps as in previous years (except for Camp Courage below). 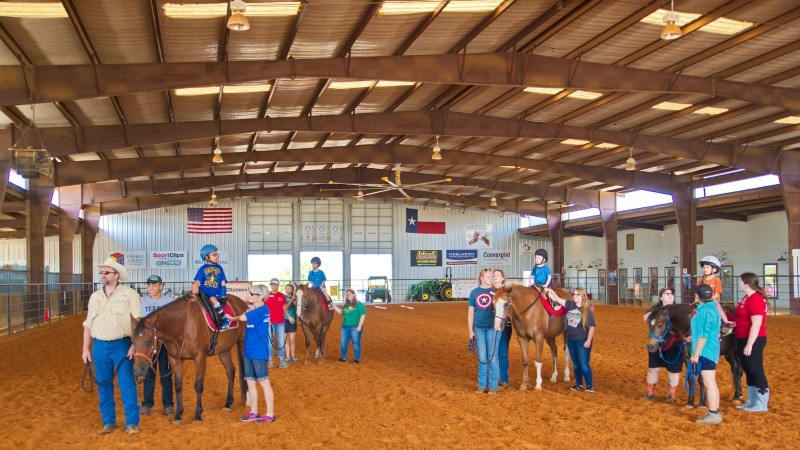 Camp Courage is a horsemanship camp specifically designed for the children of all Military Branches of Active Duty Service Members and Veterans. The curriculum includes riding skills, horse care instruction, classroom activities and equine facilitated learning. The camp will also focus on building the character traits of: honor, integrity, respect, responsibility, courage, and perseverance. Connecting with horses and community promotes self-discovery in a way that promotes better communication and leadership skills in a way that is unique to each person. This is the 7th year that ROCK has had the honor of offering this camp to our military community. Camp Courage is limited to 12 children. Please note that due to the high demand for Camp Courage and the limited number of spots available, this year a lottery will be conducted to select participants. Watch for more information on how to sign up coming soon! In 2012, ROCK began partnering with Texas A&M University System to provide the staff, knowledge, and expertise in equine-assisted activities and therapies for this program in College Station, Texas. Learn more at CourtneyCares.org. 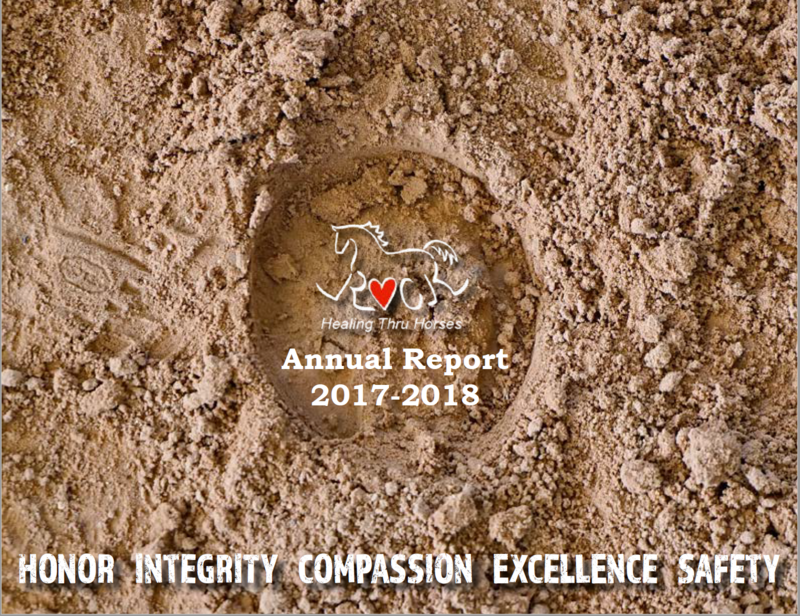 ROCK is fulfilling our vision to be the trusted leader in equine-assisted activities through service, research, and higher learning by collaborating with universities to conduct research to document the effectiveness of equine-assisted activities and therapies. Click here to view our published research. ROCK provides educational and intern support to this non-profit EAAT program serving children with special needs in Beijing, China founded by Dr. Priscilla Lightsey. Learn more at hopebeijing.org or contact priscilla@rockride.org.